It's Valentine's week and if you've still found your Valentine, here's help! 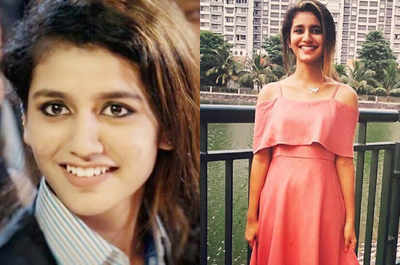 South Indian sensation, Priya Prakash Varrier, who's making her big screen debut in an upcoming Malayalam film is breaking the internet with her charming antics and chances are bright that many single men are going to dreaming of her this V-Day. And, if you are wondering what's her claim to fame- well, here goes the story! A small clip from her much anticipated film, Oru Adaar Love that has the pretty lady making some interesting eye gestures has gone viral as people can't have enough of Priya's cuteness and since she's trending all of a sudden, we thought we'll dig some stylish pictures of her, only for her newfound fans. A girl-next-door in every sense, Priya has a rather appealing style sense - a mix of boho and Indian, her clothes speak of her eccentric personality and frankly speaking, we absolutely love this thing about this newbie. Why do Entrepreneurs need SMM?